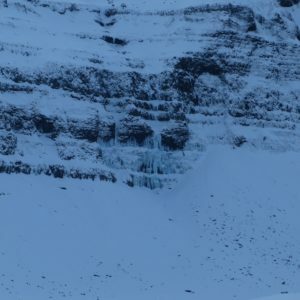 Þorsteinslundur er rétt vestan við Gluggafoss [Merkjárfoss] í Fljótshlíð. 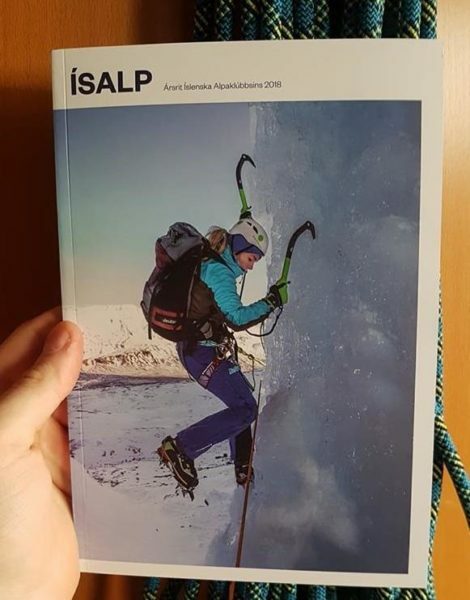 Útgáfu ársrits Ísalp 2018 verður fagnað á Bar Ananas á Klapparstíg 38 föstudaginn 8. mars klukkan 22:00. 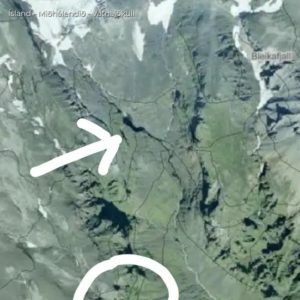 Útgáfupartýið hefst strax á eftir sýningunni “No Man’s Land” sem verður í Háskólabíói sama kvöld. 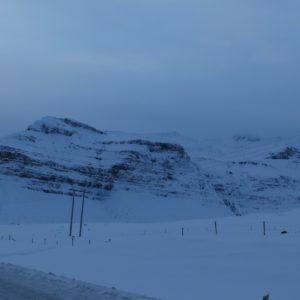 Í partýinu verður sú nýjung að Ísalp mun veita viðurkenningu fyrir bestu “Fyrst farið” ísleið ársins 2018. 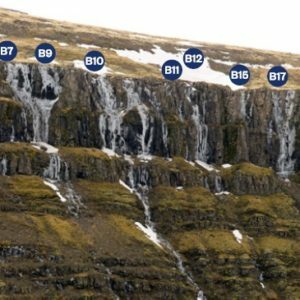 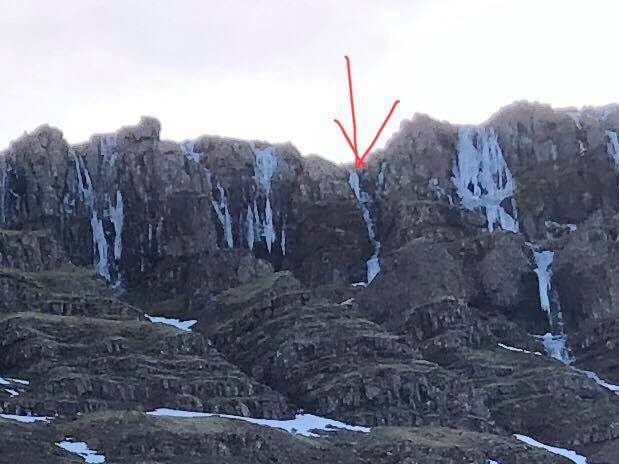 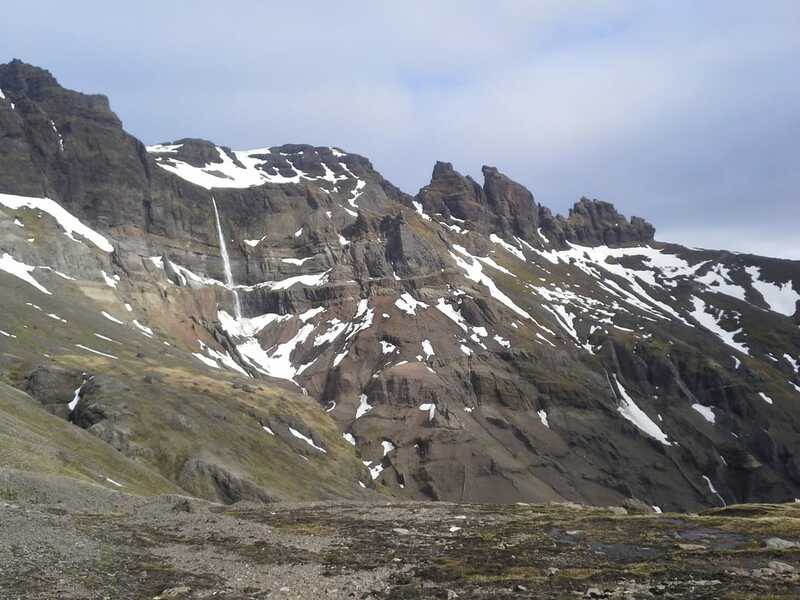 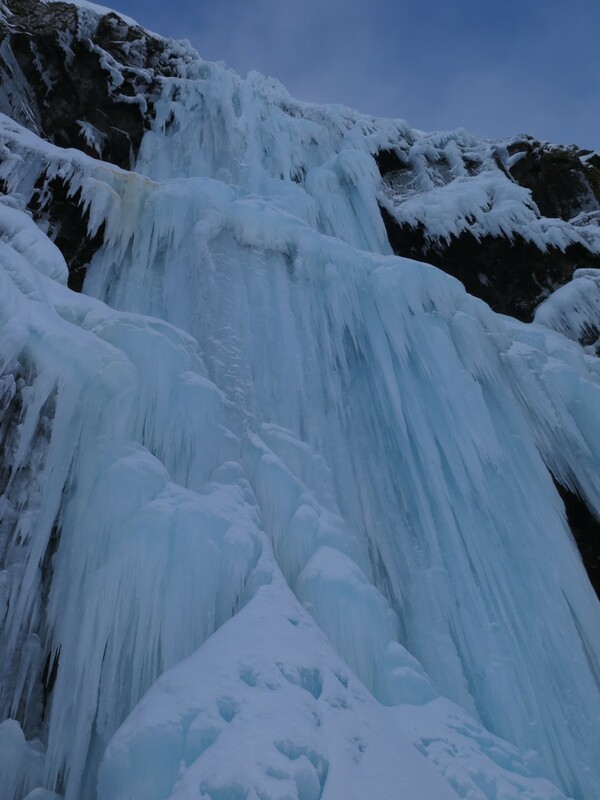 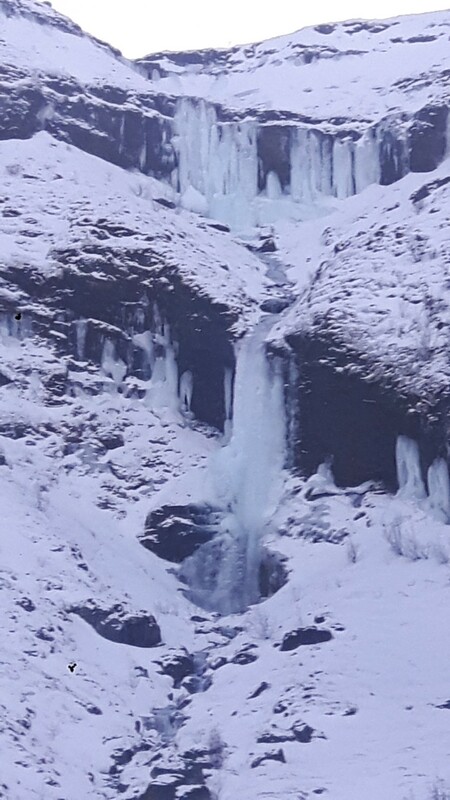 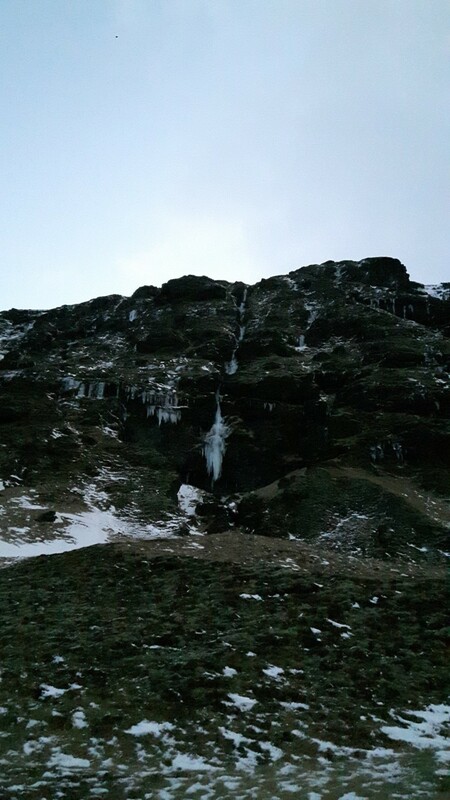 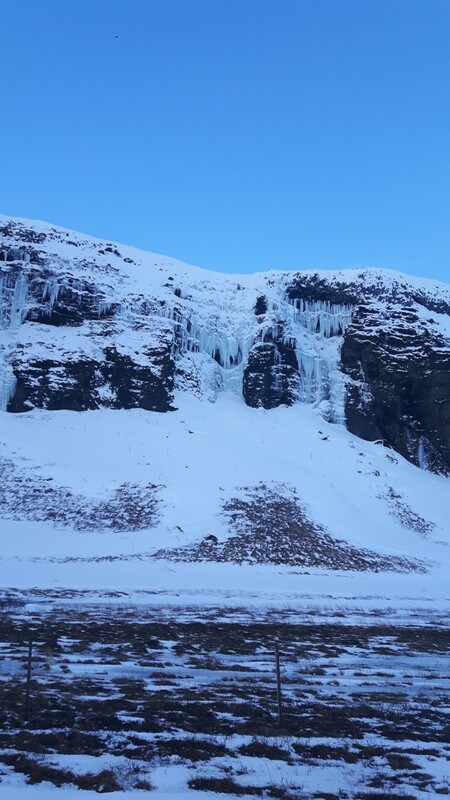 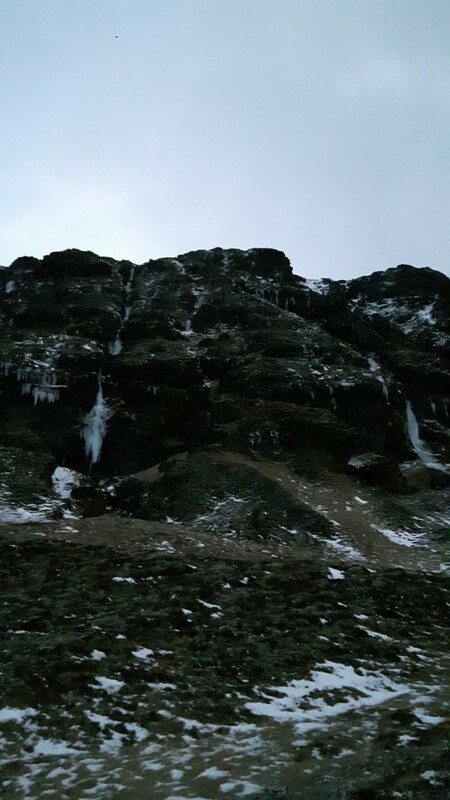 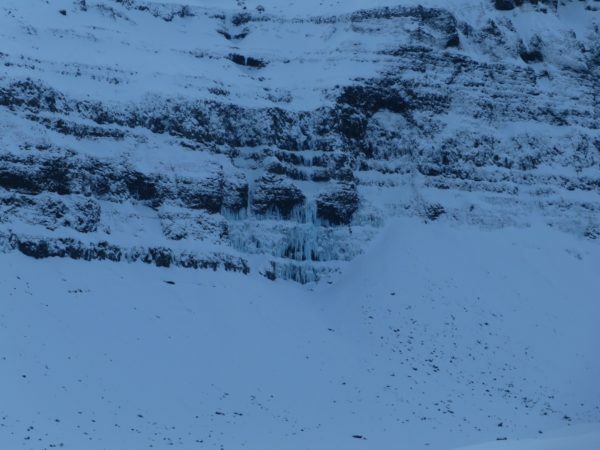 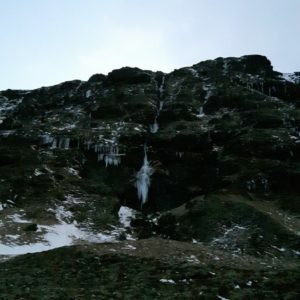 A large and obvious waterfall in the northen side of Miðfellstindur. 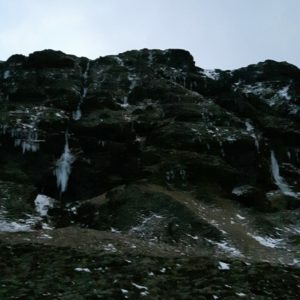 Take the long walk from Skaftafell to Vestur-Meingil on the northern side of Kjós (underneath Miðfellstindur). 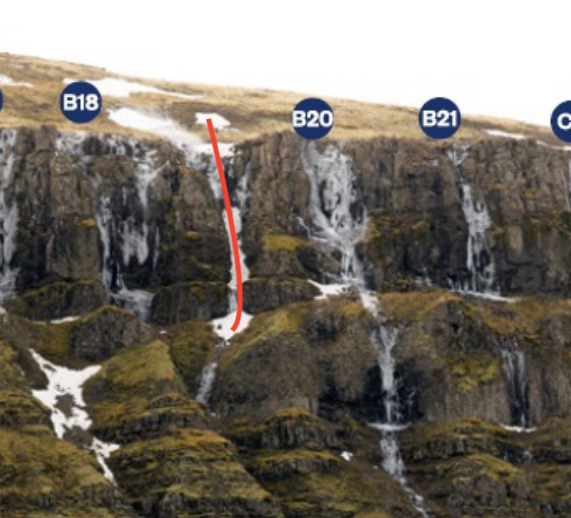 Ascend on the western side of the gil, which splits into 3 as you get higher. 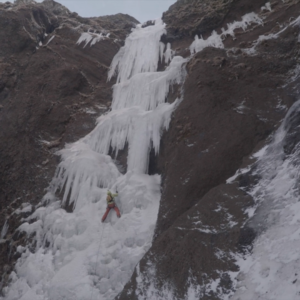 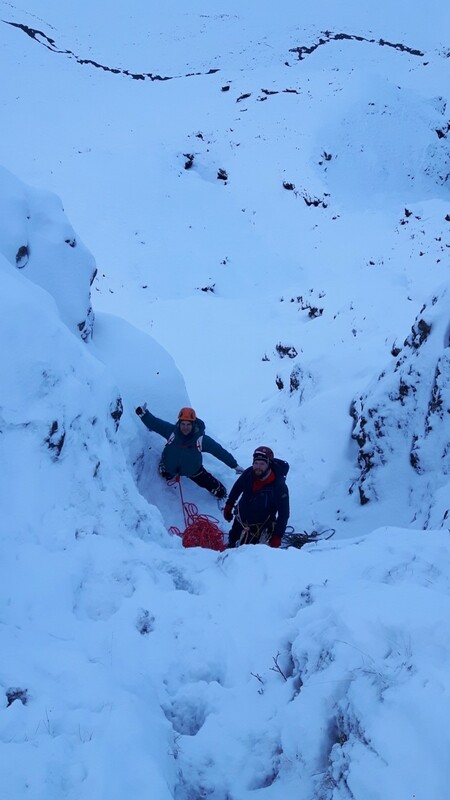 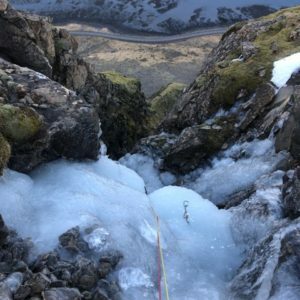 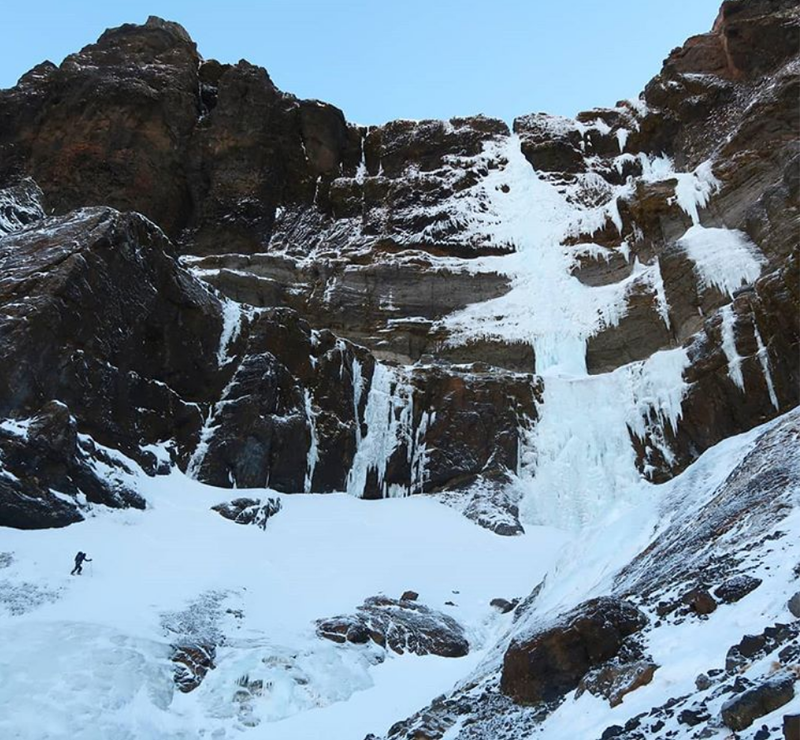 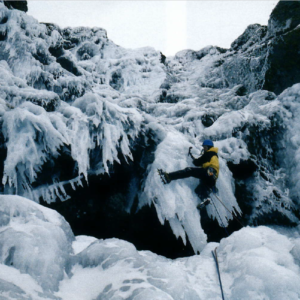 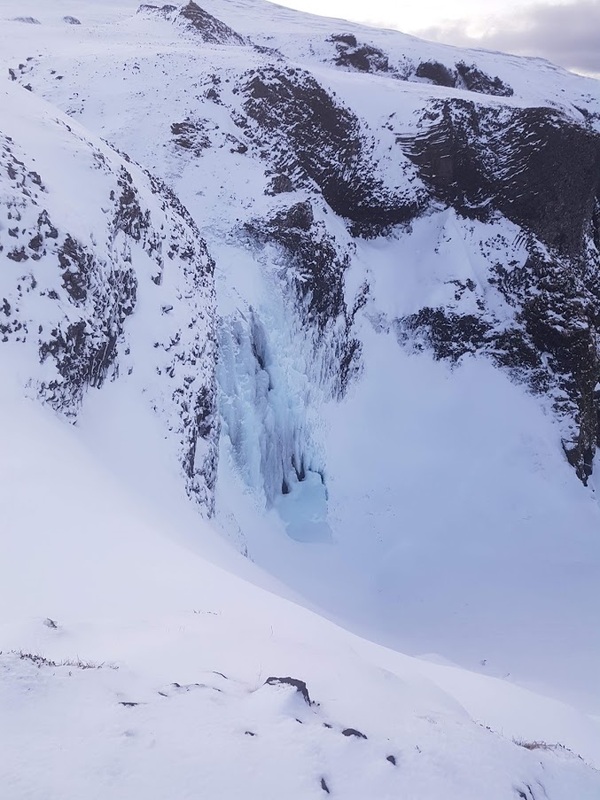 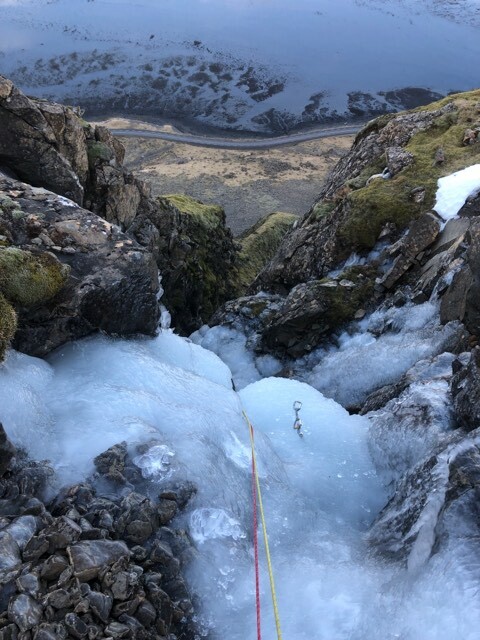 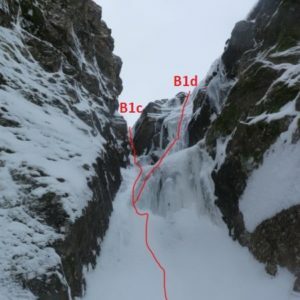 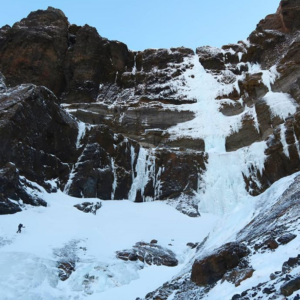 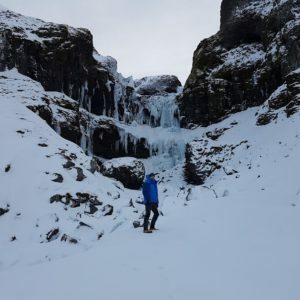 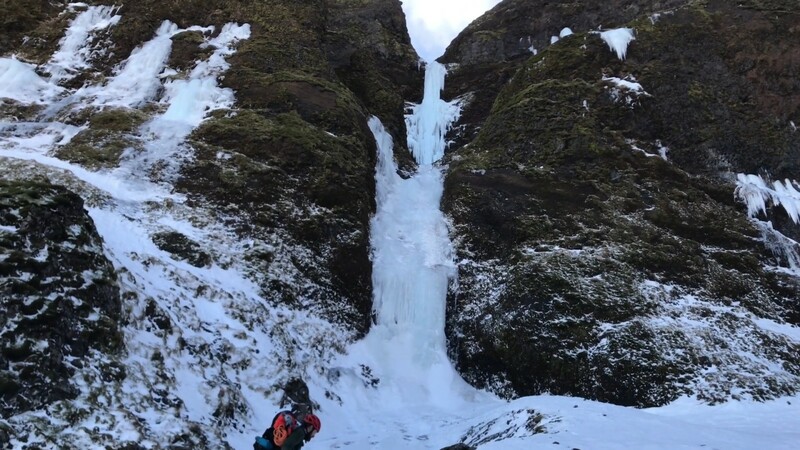 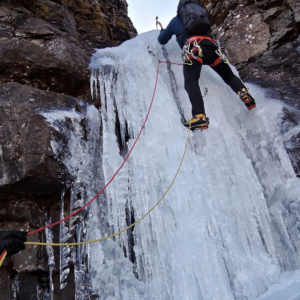 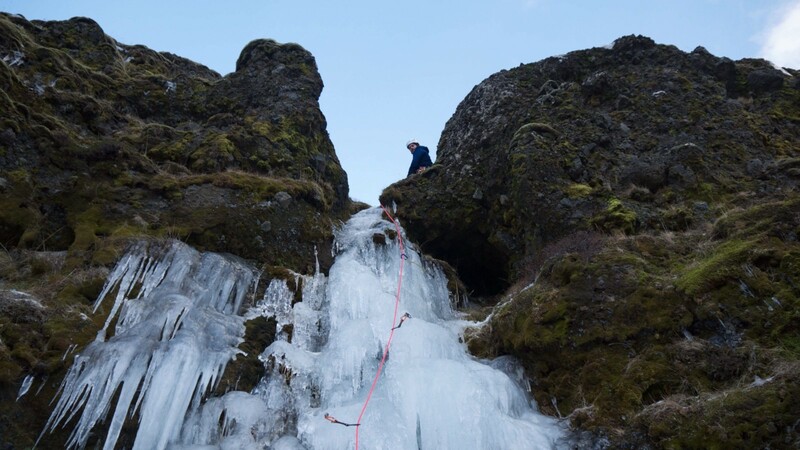 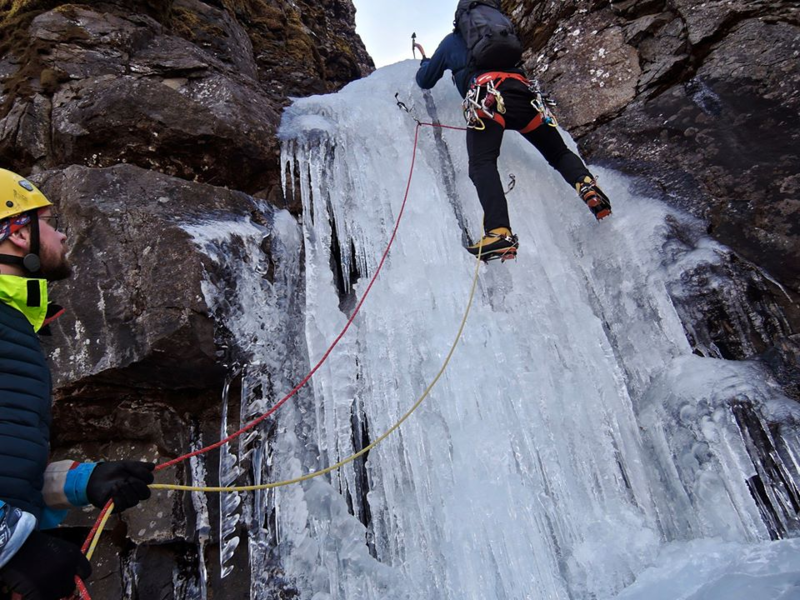 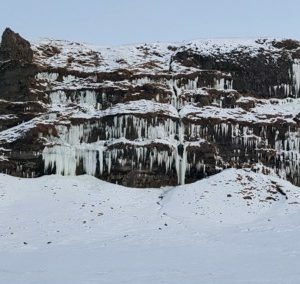 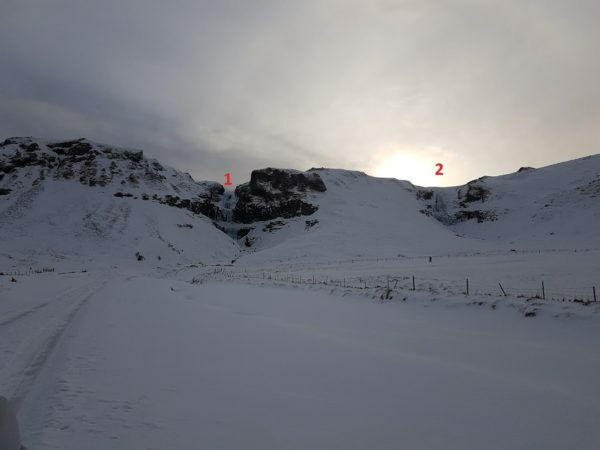 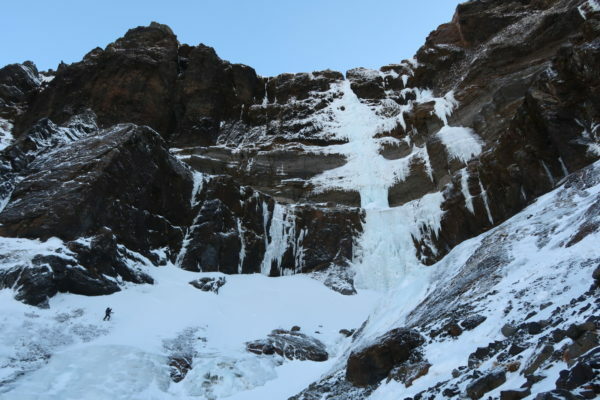 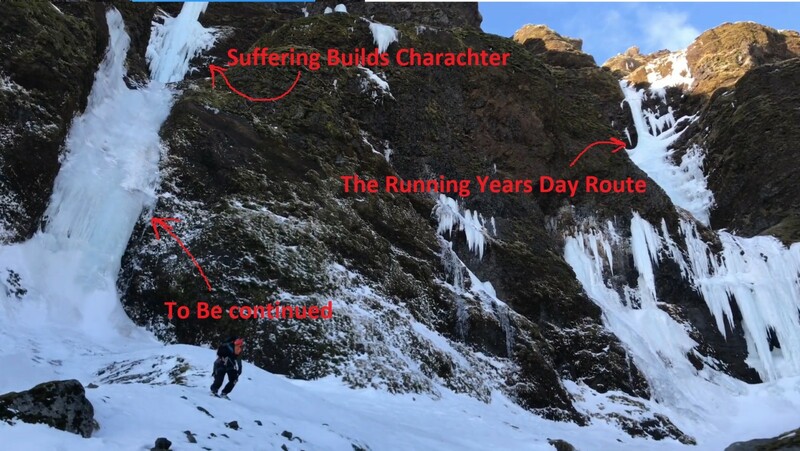 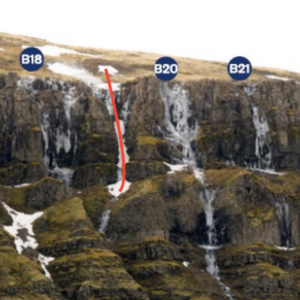 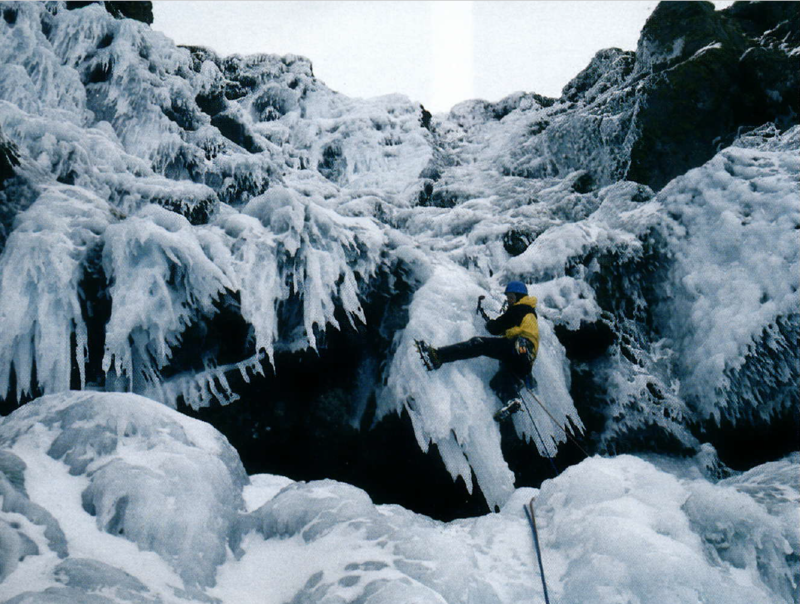 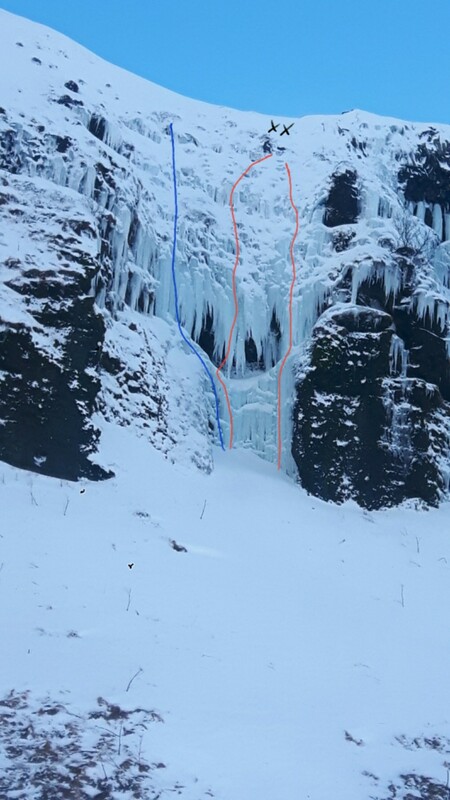 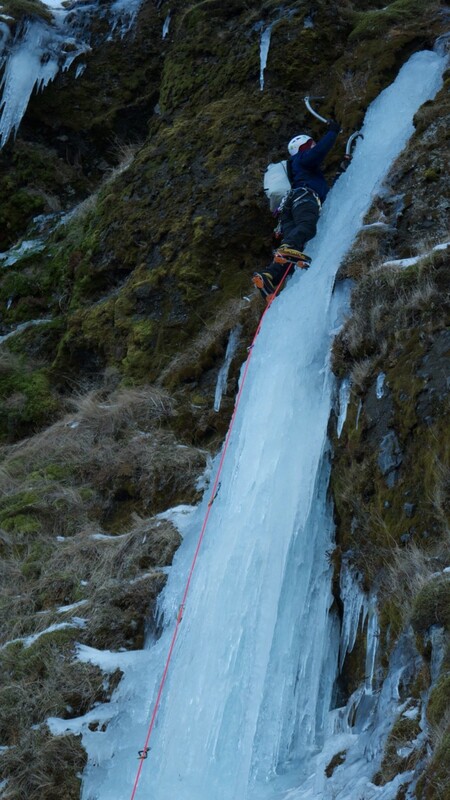 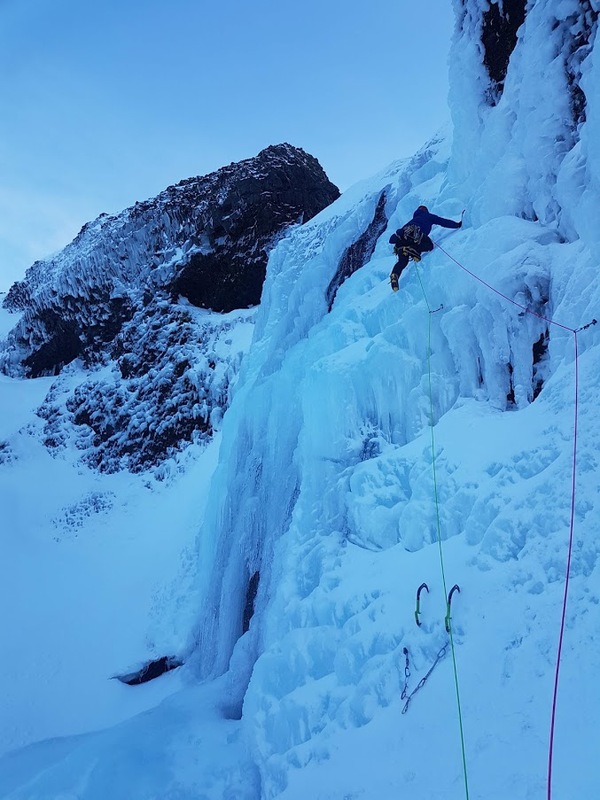 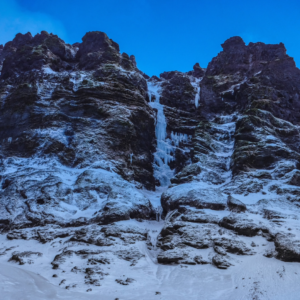 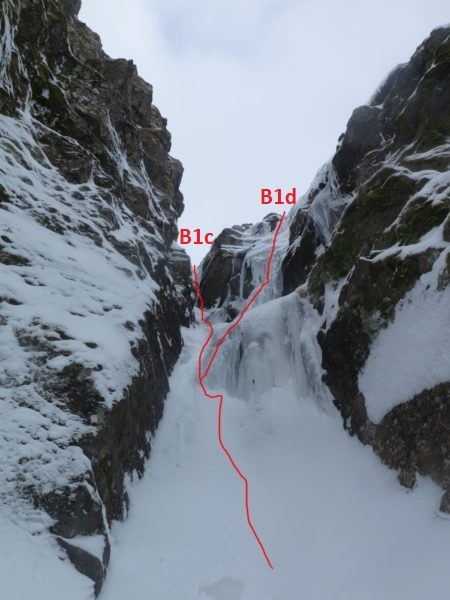 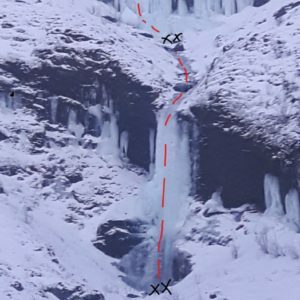 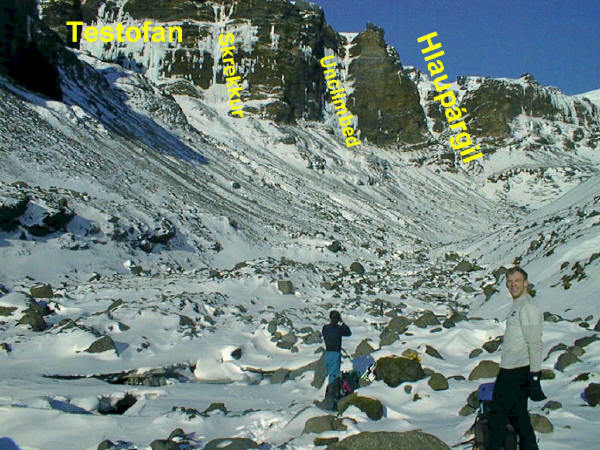 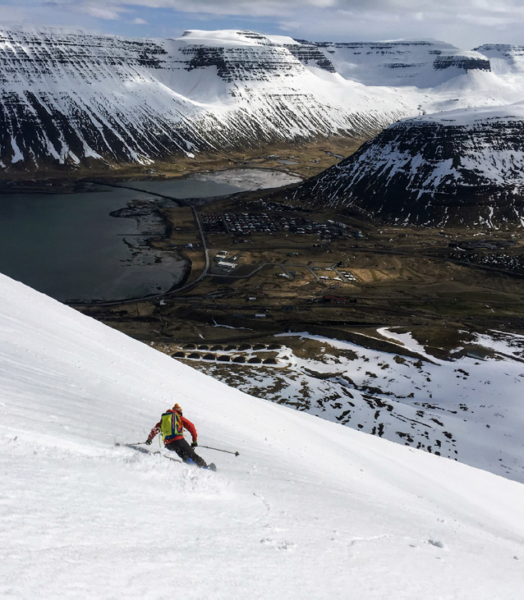 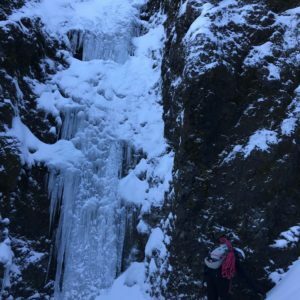 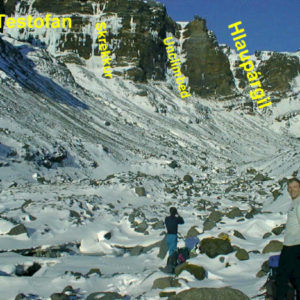 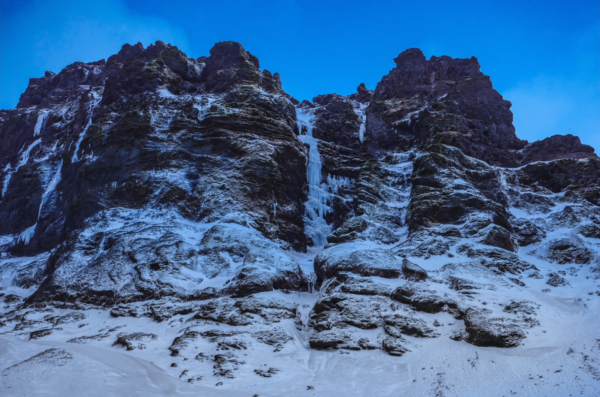 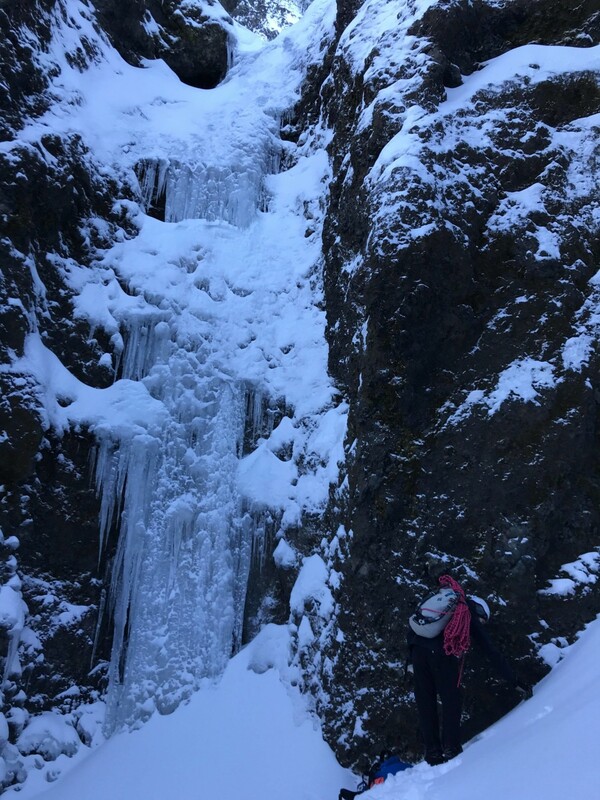 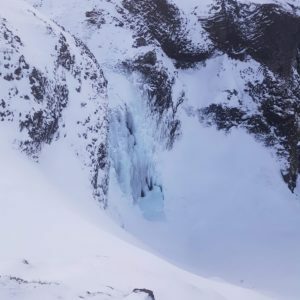 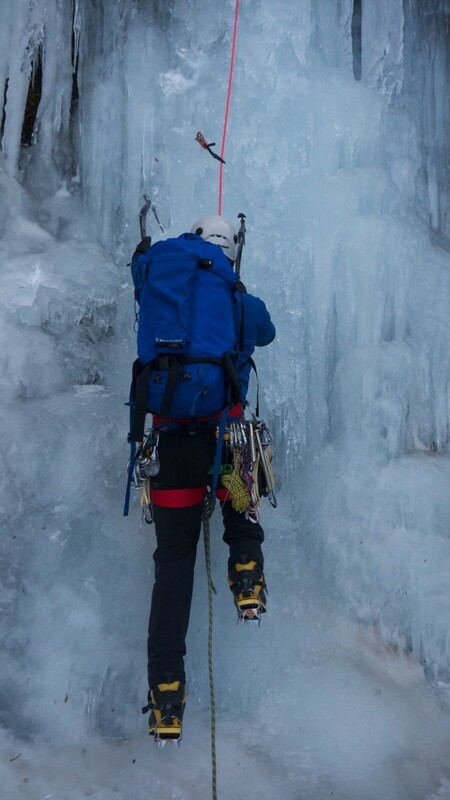 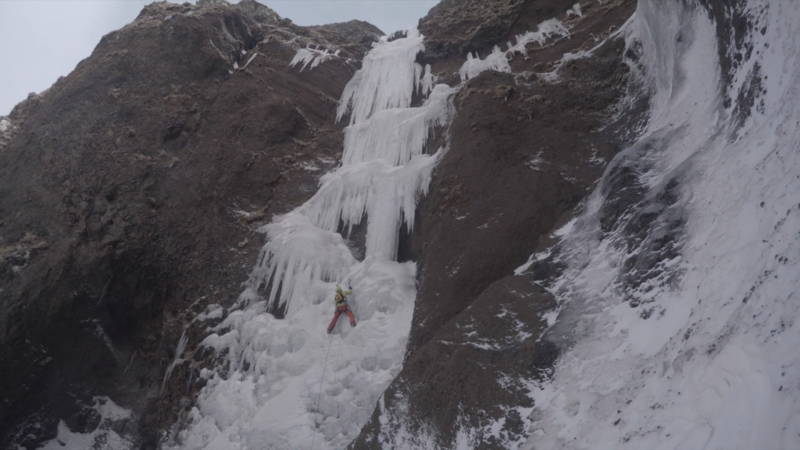 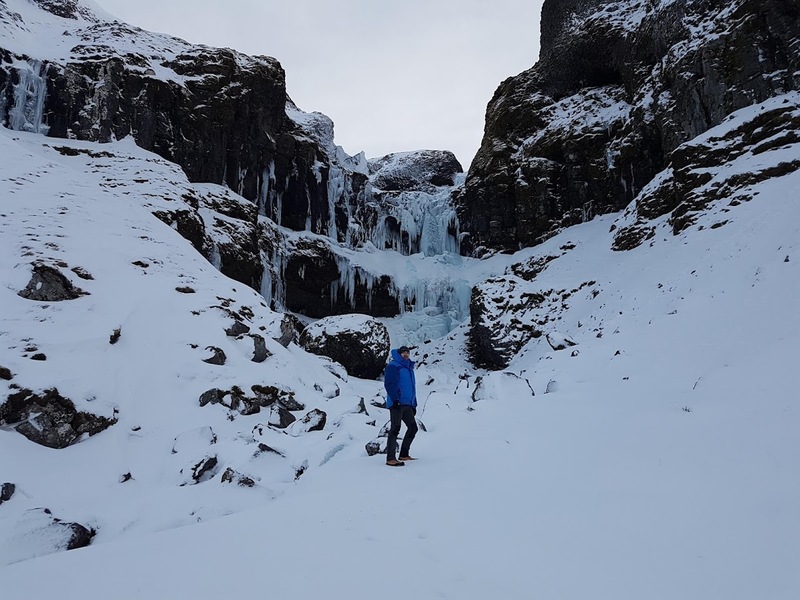 It is possible to cross the first two canyons just above where they split on moss/snow slopes before you reach the cirque beneath Miðfellstindur (hnútudalur). 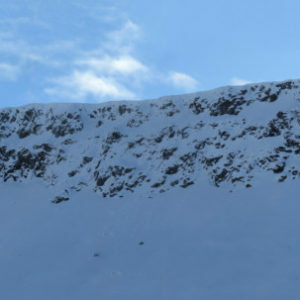 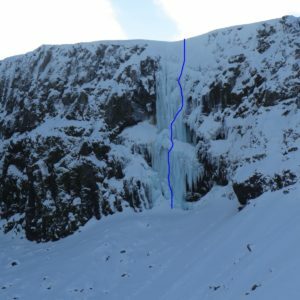 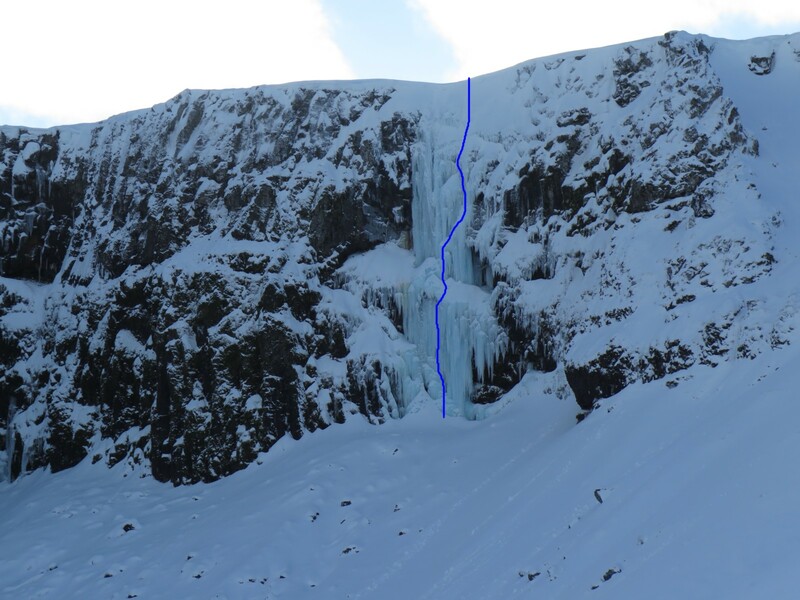 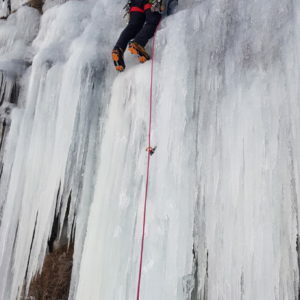 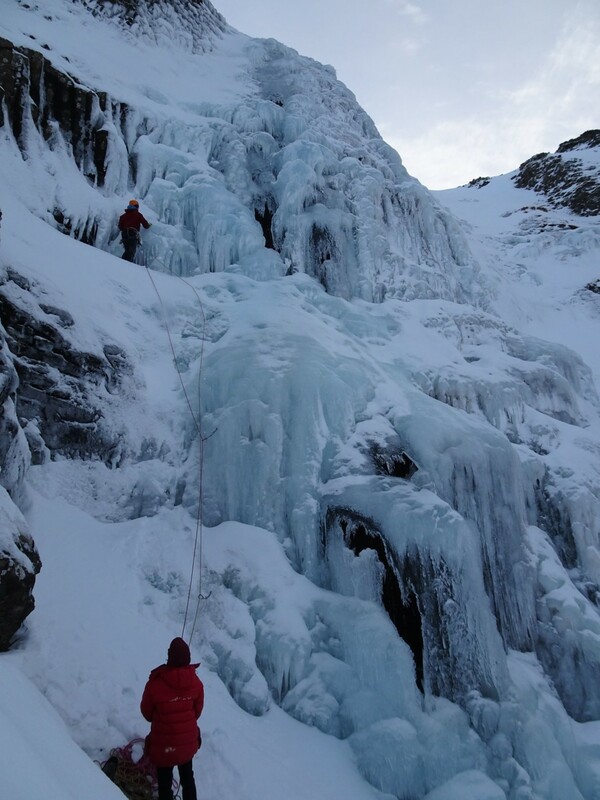 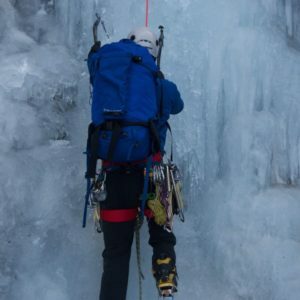 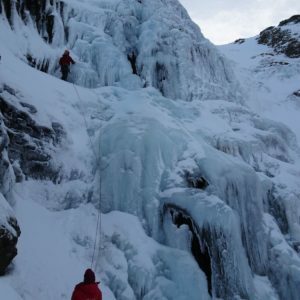 It is then possible to traverse into the 3rd canyon and the base of the route. 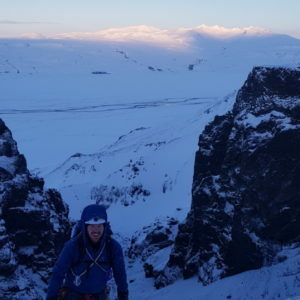 Total approach time is around 4.5 hours from Skaftafell, ca 13 km. 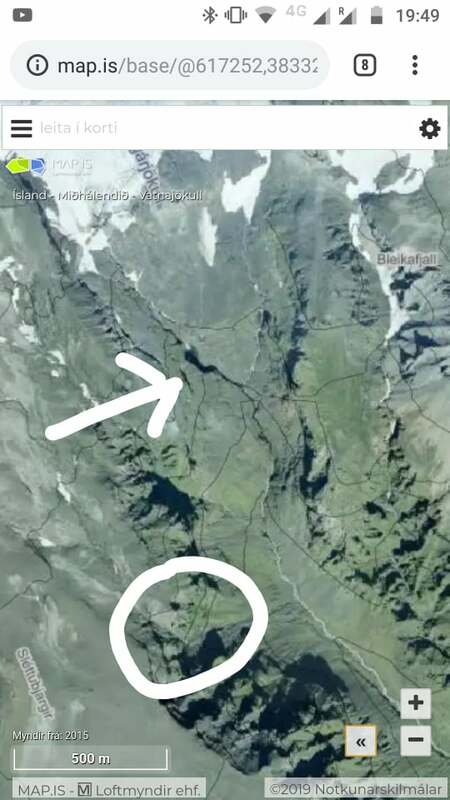 Walk off to the south, which brings you back to the eastern side of vestra-meingil. 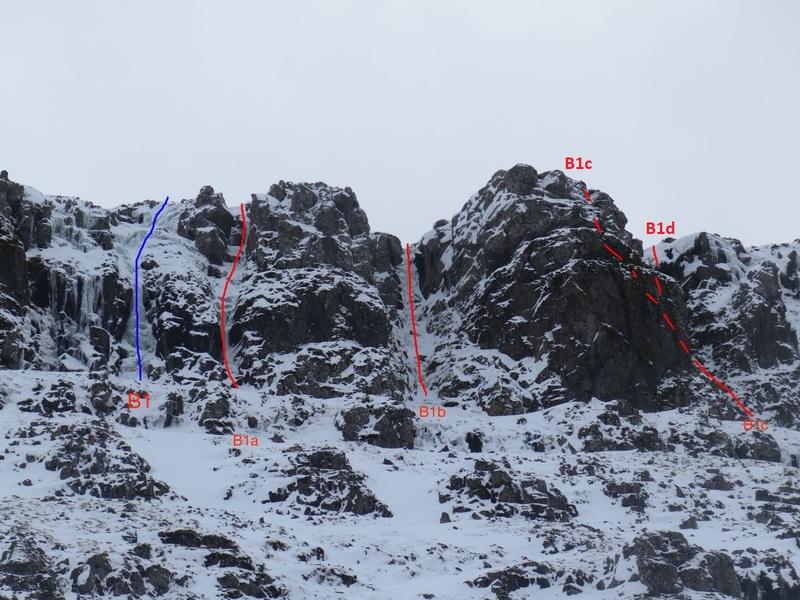 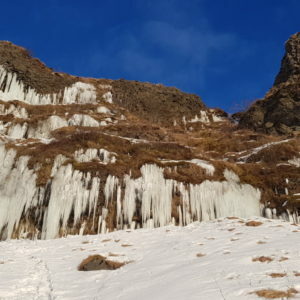 The descent is not too complicated, though it is a good idea to take some pictures of the mountain when you are approaching to find your way between the cliffs and gils. 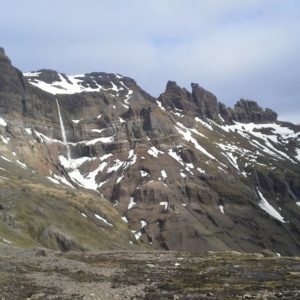 Enjoy the cold beers you left chilling in the stream and don’t think too much about that second bridge on the walk out of the valley. 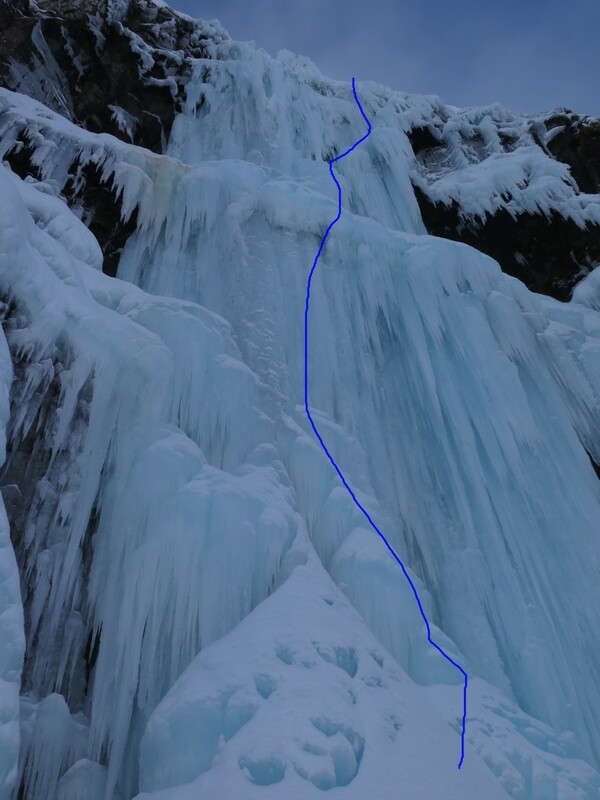 The name refers to the famous Christmas tree in China since this route has quite a lot of resemblance. 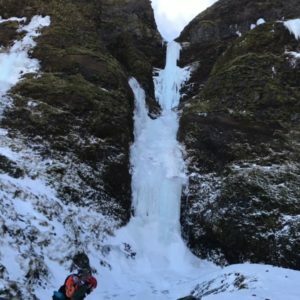 15m lóðrétt með 50cm yfirhangi til að komast í blómkálshausa. 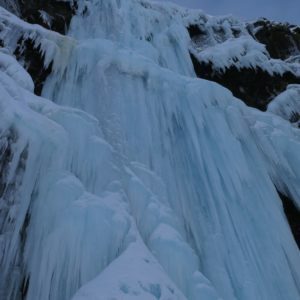 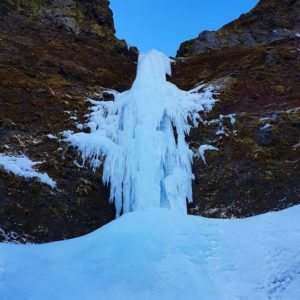 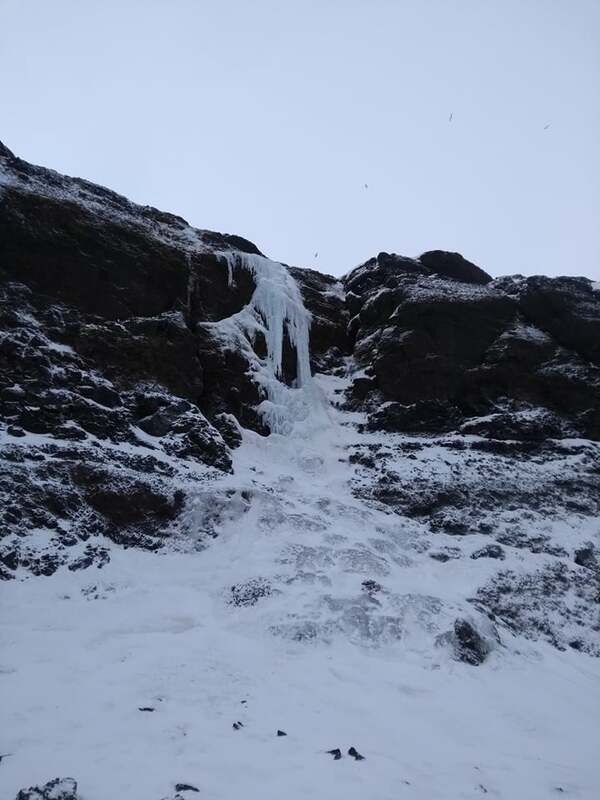 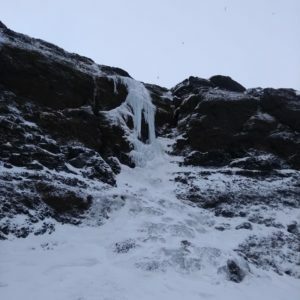 Leið sem er við Baugsmúla, rétt vestan við Baugsvatn og rétt fyrir utan Ólafsvík. 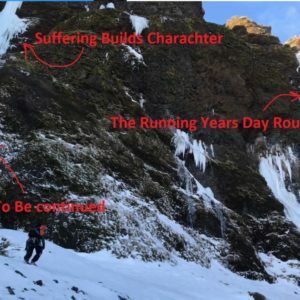 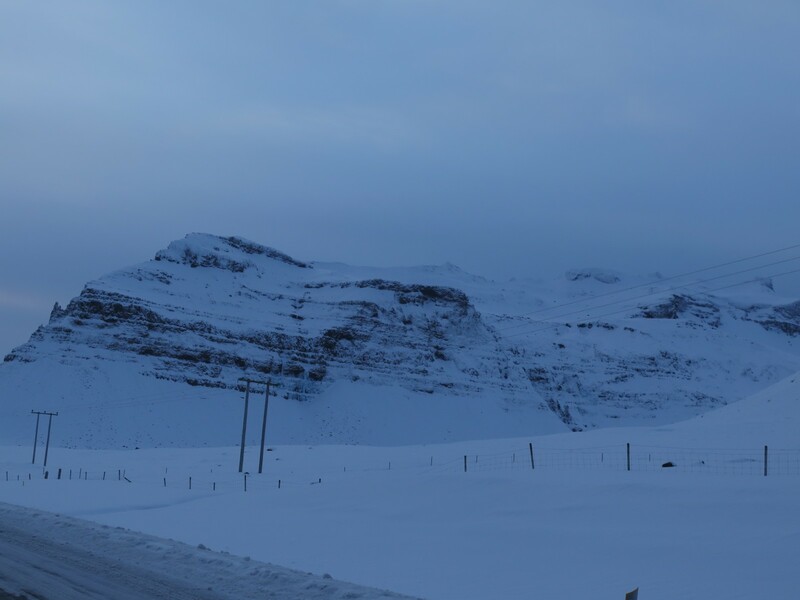 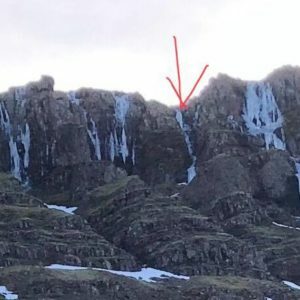 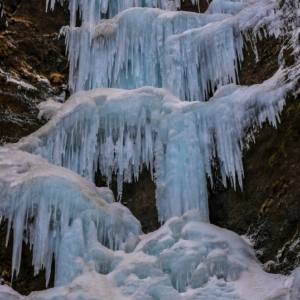 Leið sem rennur úr Baugsgili (fossin heitir þá hugsanlega Baugsfoss) í Baugsmúla, rétt vestan við Baugsvatn og rétt fyrir utan Ólafsvík. 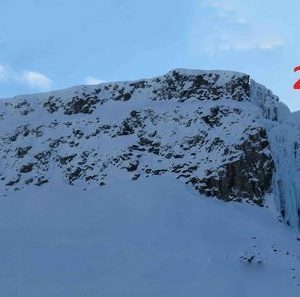 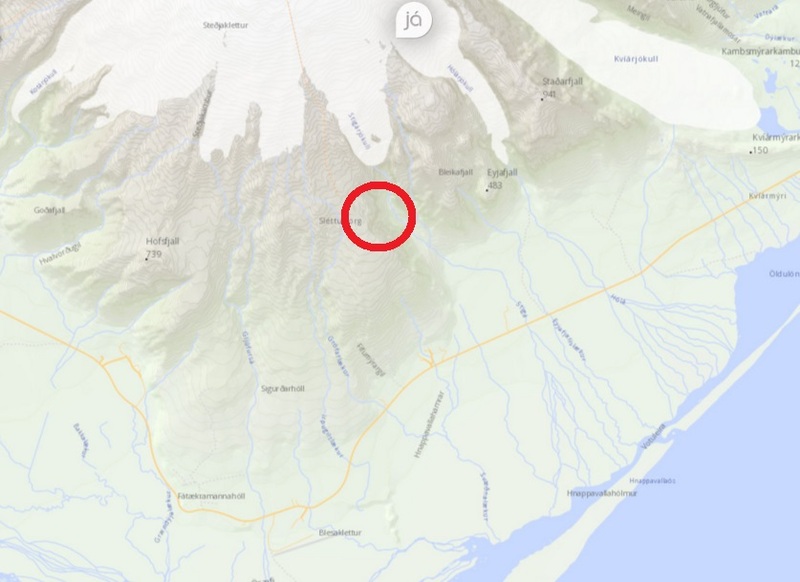 Fyrri spönn er tvö höft, ágætlega brött en ekki svo löng 30m ca. 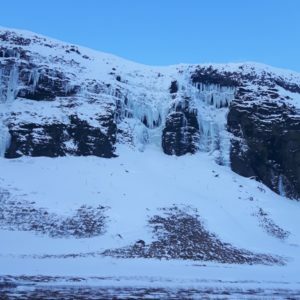 Þegar komið er upp úr seinna haftinu kemur maður í stóra skál og þarf að ganga ca 20 m inn að næstu spönn. 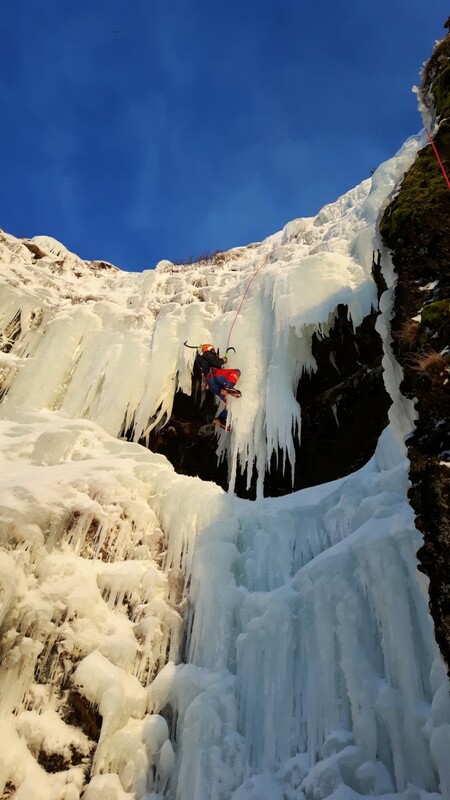 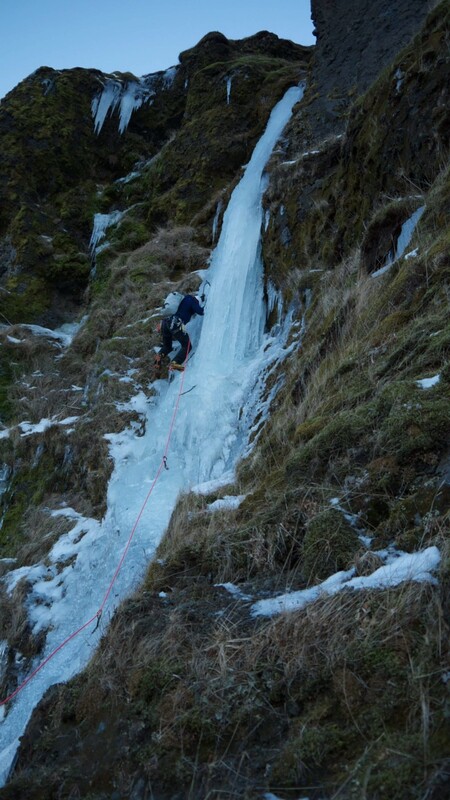 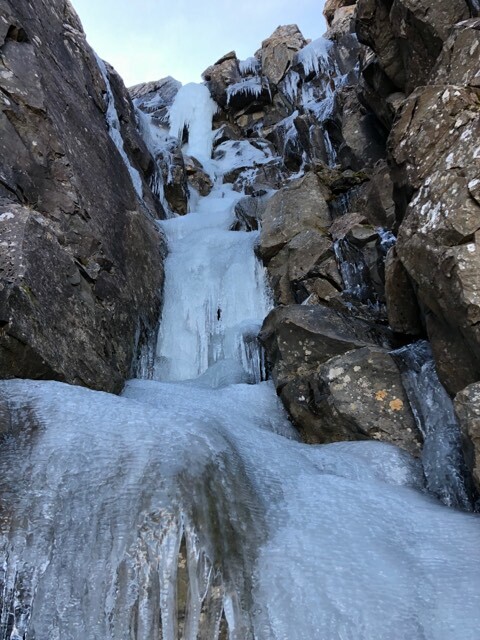 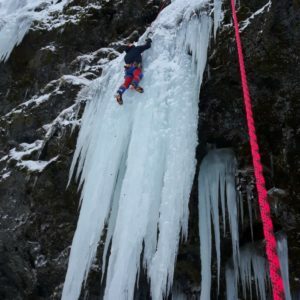 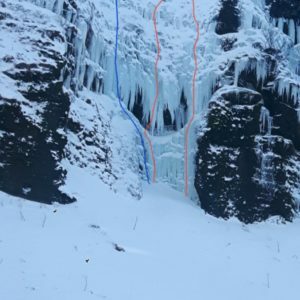 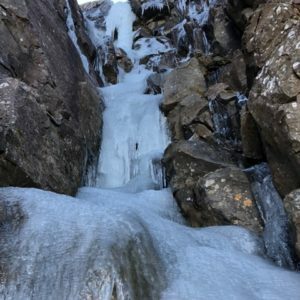 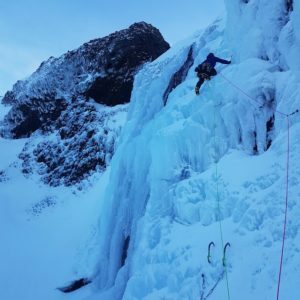 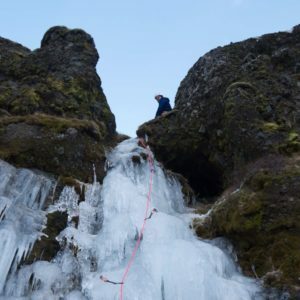 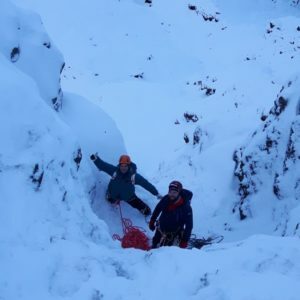 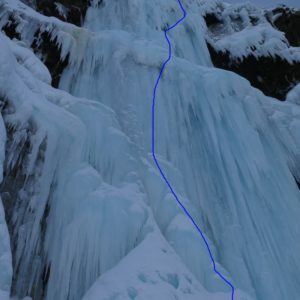 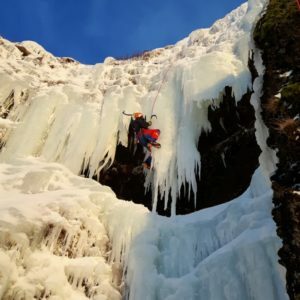 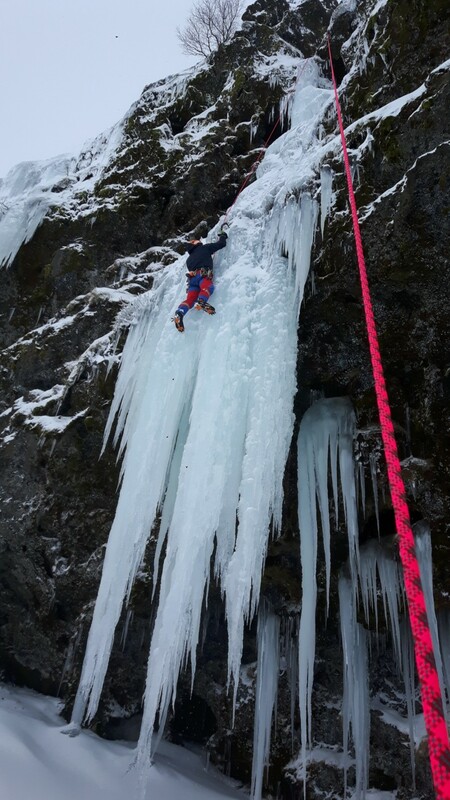 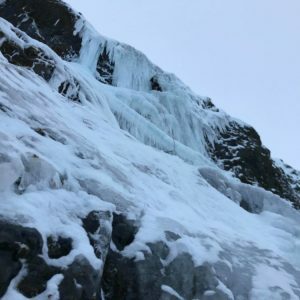 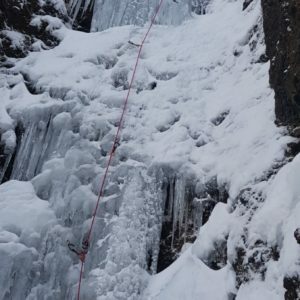 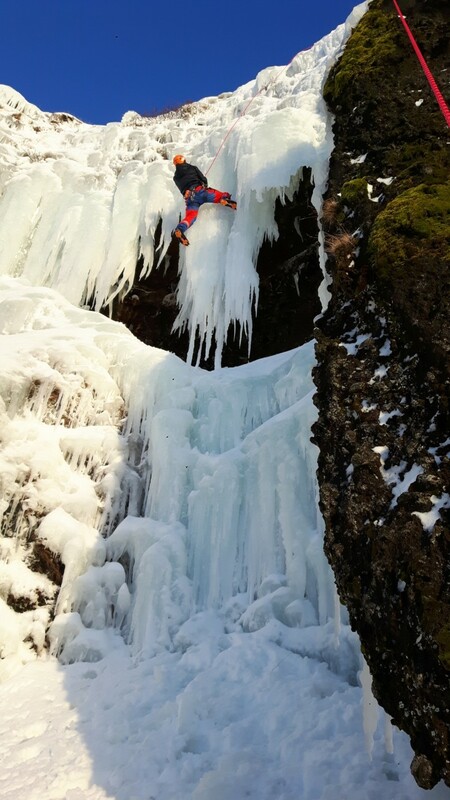 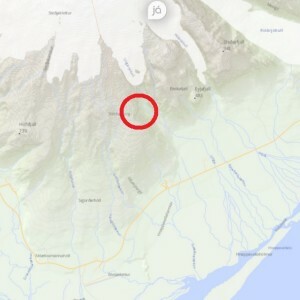 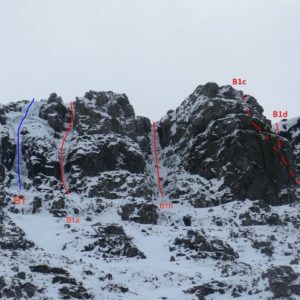 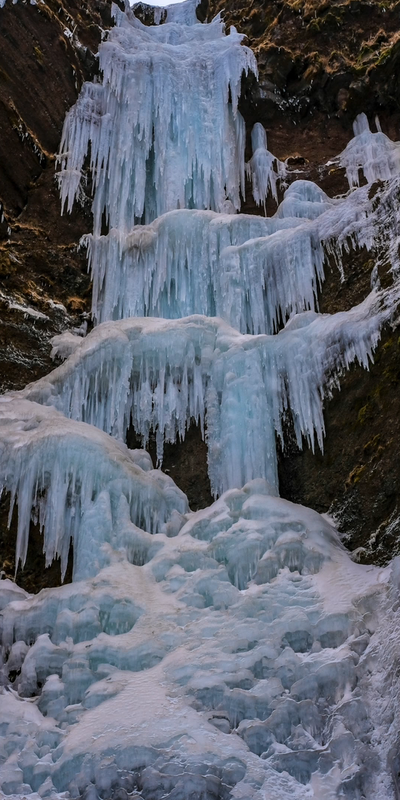 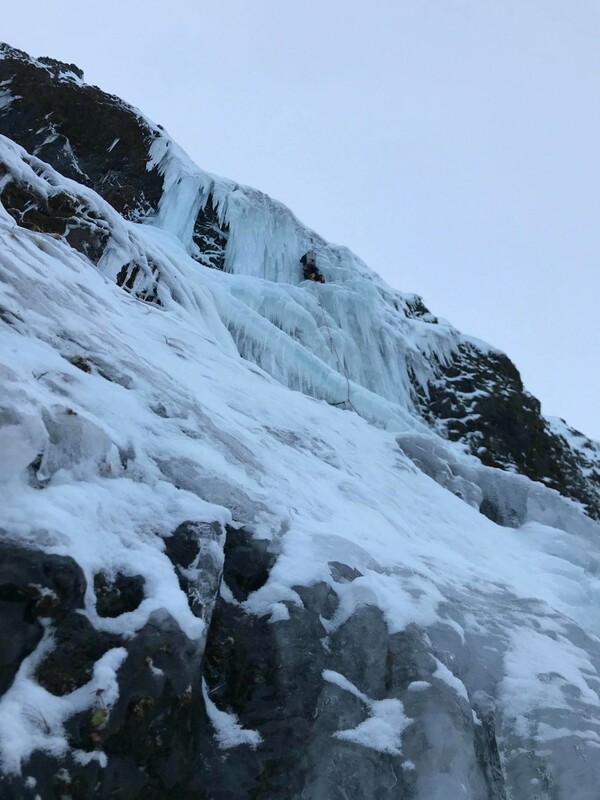 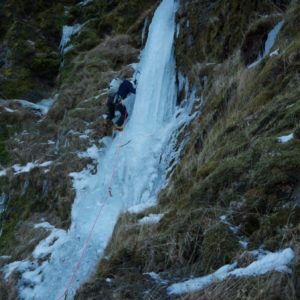 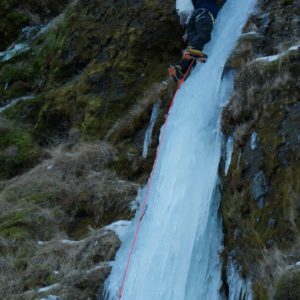 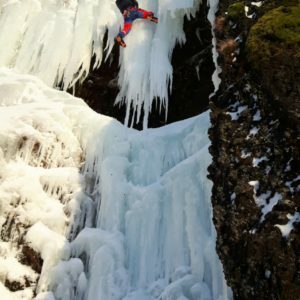 Seinni spönnin er ca 15-20m WI 3, hins vegar var toppurinn eitthvað þunnur og með skrýtinni skel svo að það þurfti að beita alskonar kúnstum og kletta hreyfingum til að komast upp úr spönninni. 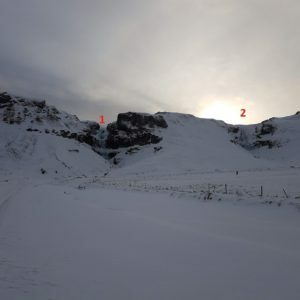 Hægt var að ganga niður í stóru skálina og svo síga eitt sig þaðan.